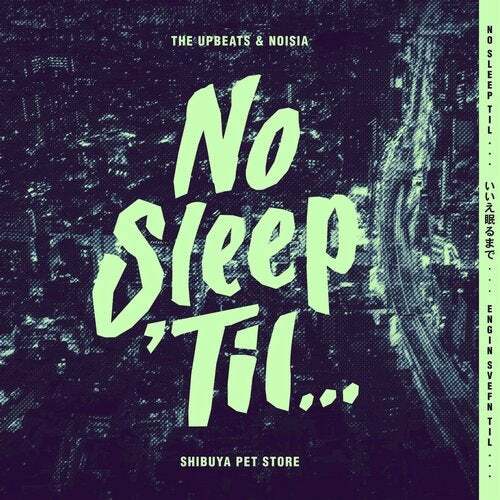 Proudly presenting the first track, 'Shibuya Pet Store' by The Upbeats and Noisia from the eagerly awaited 'No Sleep 'Til' (Japan & Iceland) series by The Upbeats. The idea behind 'No Sleep 'Til' was to take amazing artists to amazing countries they have not seen, experience new cultures and see what influence this had on the composition of new music. This was made possible by a grant from Creative New Zealand, and a kickstarter campaign where fans across the globe contributed to make this dream a reality. The Upbeats have also made an accompanying documentary in 2 parts (one for Japan and one for Iceland) which will be aired leading up to the day of full release on 5th October 2018.